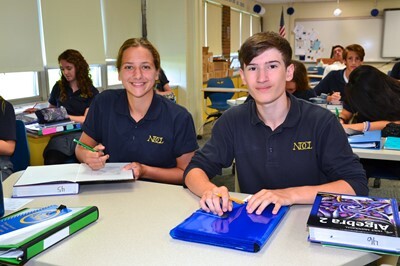 Through the study of mathematical systems, students at Notre Dame Cathedral Latin School will learn to perceive patterns and similarities, developing the discipline of logical reasoning. As students move through the program, they learn to apply critical thinking to new and more complex situations and are able to solve mathematical problems of increasing complexity. Mathematics also provides the students with the opportunity for improving their communication skills as it requires an understanding of mathematical concepts essential in a practical, technical, and technological society.